One of the shows that I wanted to submit to has a deadline only 4 days from now. 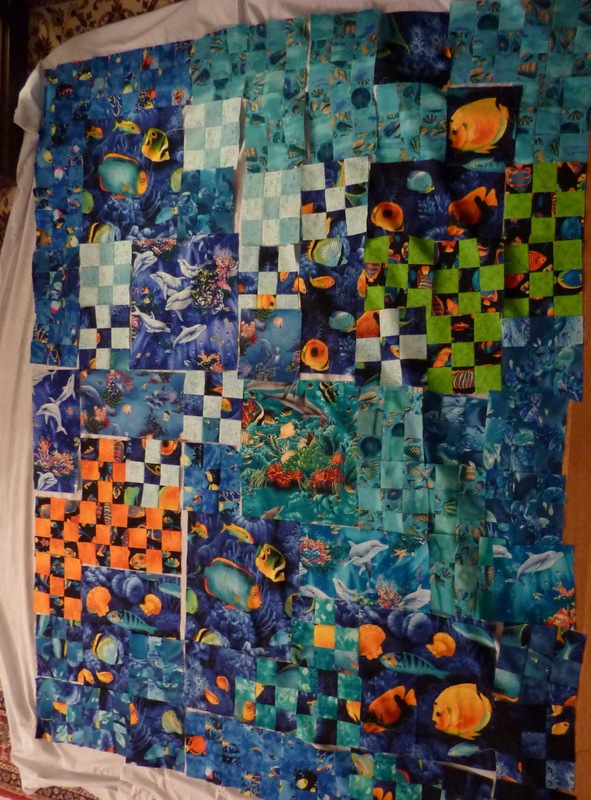 There’s no way I’ll finish the quilting on the piece that I wanted to submit. Darn. Time just slipped by. And I’ve been caught up in doing some very mundane quilting. As in items that I promised to people and must get done. However, all that said, I’m looking forward to receiving the first “challenge word” this week from our Haiku-Art group. It’ll be “ready, set, go” with only a week to create and finish the Haiku and the art piece. 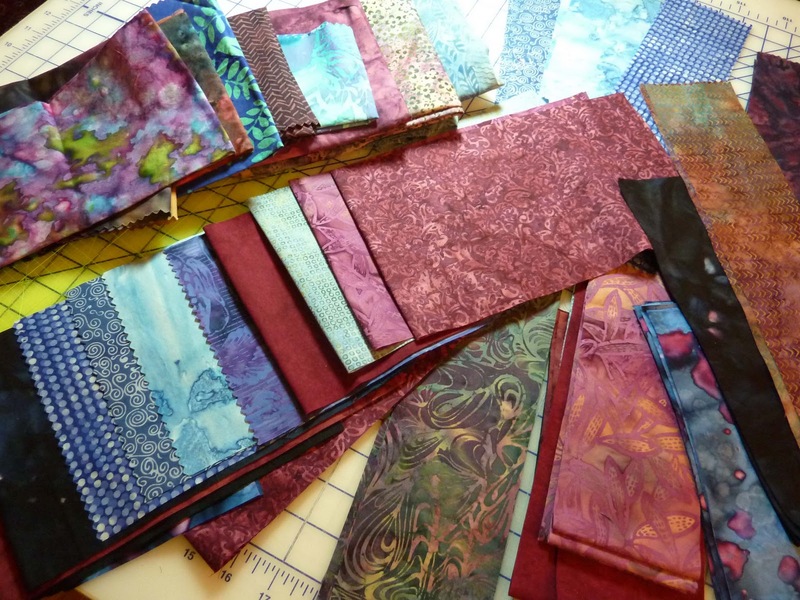 So far as my “mundane” work – actually they are 2 quilts that I’ll enjoy doing. One is the softy sea for my younger granddaughter and I’ve got all the elements ready now to put together. It’s been a fun designing process. The other is a lap quilt (a wedding gift) and I just finished cutting out the first round of strips.